These Vampire Party Luncheon Napkins will compliment a number of Gothic themed parties and work well for Halloween too. 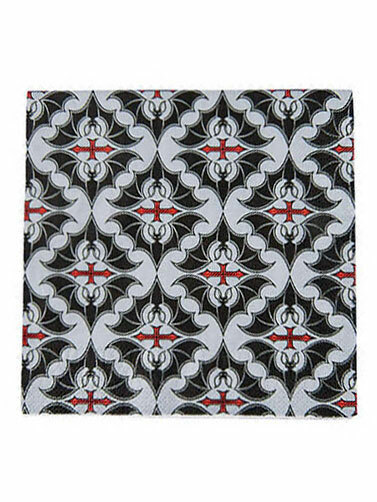 Paper napkins with a gray, red and black print feature a Gothic pattern created from bats and red crosses. Vampire Party Luncheon Napkins measure 6.5"x 6.5". 16 ct.